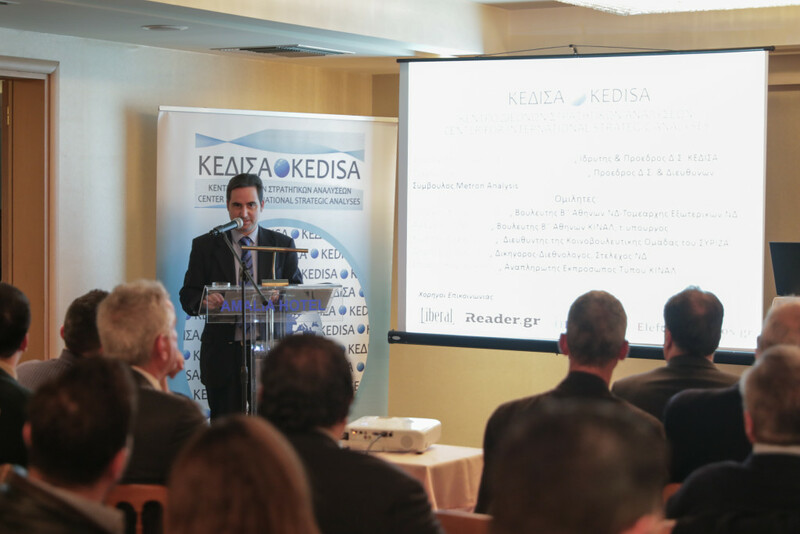 Coordinator of the event was Mr. Andreas G. Banoutsos, Founder & President of KEDISA. 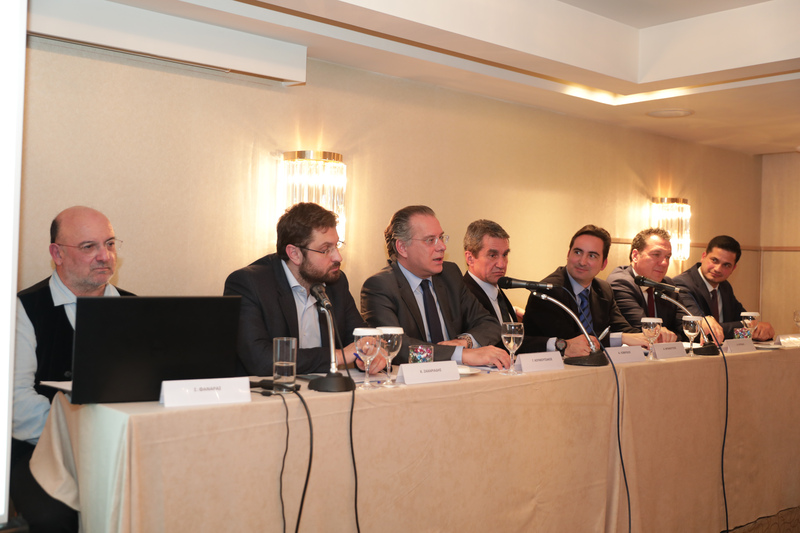 Speakers of the event were: Mr. Stratos Fanaras (Chairman of the Board of Directors & CEO of Metron Analysis), Mr. Kostas Zachariades (Director of the SYRIZA Parliamentry Group), Mr. George Koumoutsakos (MP of the Second Constituency of Athens & Head of Foreign Affairs Section of ND), Mr. Andreas Loverdos (MP of the Second Constituency of Athens for KINAL- former Minister), Mr. Demetrios Iatrides (International Relations Expert & Lawyer- ND Official), and Mr Spyros Karanikolas (Deputy Spokesperson for KINAL). 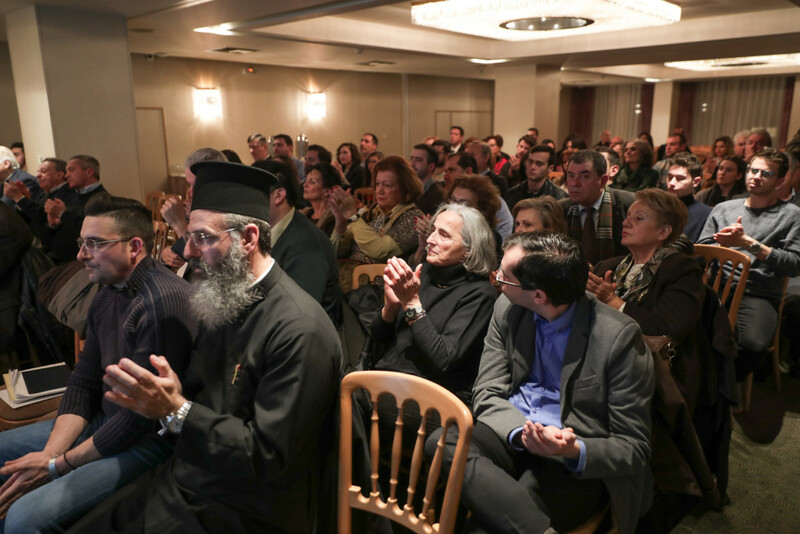 The event was attended by many people including politicians, generals and admirals, Ambassadors, representatives of the Hellenic Diplomatic Corps, Armed Forces and Security Corps, representatives of Foreign Diplomatic Missions in Greece, clergy, journalists and students. A special honor for KEDISA was the presence of H.E. Mr. Aleksandar Sunko Ambassador of Croatia to Greece and Mrs. Aikaterini Papathanasiou,President of the Republican Party (USA) in Greece. The Founder & President of KEDISAMr. Andreas G. Banoutsos, in his speech, pointed out that in his assessment the negotiation that led to the signing of the Prespes Agreement was not appropriate indicating that those who would have to expedite the negotiation because they wanted their membership in the Euro-Atlantic institutions were Skopje, adding that for this reason the biggest retreats in the negotiation should have been made by the Skopje side and not by Greece as it did. He also said that the name “Democracy of Northern Macedonia” itself risks being used in the future by a nationalist government in Skopje as a vehicle of irredentism at the expense of Greek Macedonia geographically located south of Northern Macedonia, adding that Skopje alone doesn’t pose a threat to Greece, but with the complex name “Republic of Northern Macedonia”, foreign hostile forces to Greece could exploit it at the expense of Greece. Mr. Banoutsos also said that the recognition of “Macedonian” nationality and language by the government of Mr. Alexis Tsipras was a major retreat in the negotiation and that a better compromise for Greece would have been to recognize the “Slav-Macedonian” ethnicity and language. Regarding ‘North Macedonia’s’ accession to NATO, he pointed out that the previous examples of Turkey and Albania lead us to the conclusion that it is very likely that our relationship with the “Republic of North Macedonia” will be detrimental to the national interests of Greece within the Atlantic Alliance. Finally, he said that the ratification of the Prespes Agreement by the Greek Parliament raises a serious issue of democratic legitimacy due to the mismatch that exists with the vast majority of Greeks that is opposed to the Prespes Agreement as all public opinion polls are indicating, including Metron Analysis poll which was presented during KEDISA’s event. A) In the question “Do you think that if the Prespes Agreement comes to the Greek Parliament the MPs should ratify it or not” 68% answered “No”, 23% answered “Yes” and 9% didn’t answer. B) In the question whether “The Prespes Agreement serves the interests of Greece or not” 71% answered that it doesn’t serve national interests, 19% responded that it served them and 10% did not respond. C) In the question “If you would like the political party you voted in the last national elections to vote for the Prespes Agreement in the Greek Parliament or not”, only 21% answered “Yes”, 65% replied “No” and 14% didn’t answer. D) In ​​the question whether “In the next parliamentary elections you are thinking of voting one of the parties in favour of the Prespes Agreement or one of the parties that are against the Prespes Agreement” 66% said they would vote in favour of a party that is against the Prespes Agreement, 9% said it would vote for a party in favour of the Prespes Agreement and 15% didn’t respond. 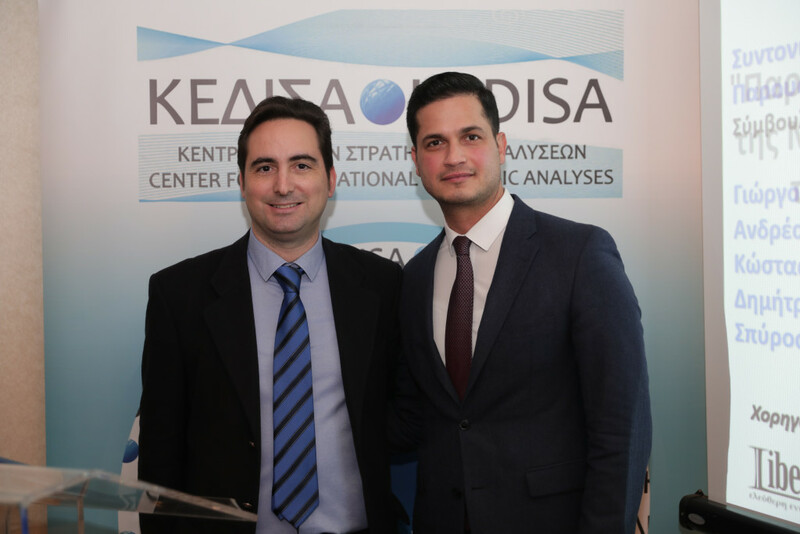 The full presentation (in Greek language) of the results of the Metron Analysis public opinion survey conducted by Mr. Sratos Fanaras during the KEDISA event can be found here. 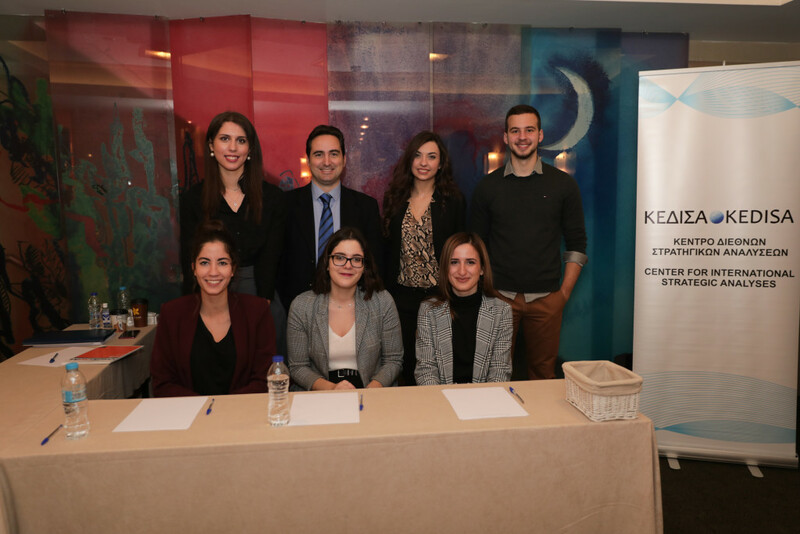 Mr. Kostas Zachariades, Director of the SYRIZA Parliamentary Group, during his speech noted that public opinion polls are an important tool for analyzing the beliefs and intentions of public opinion but can not be a substitute for political decisions taken at government level and parliament. 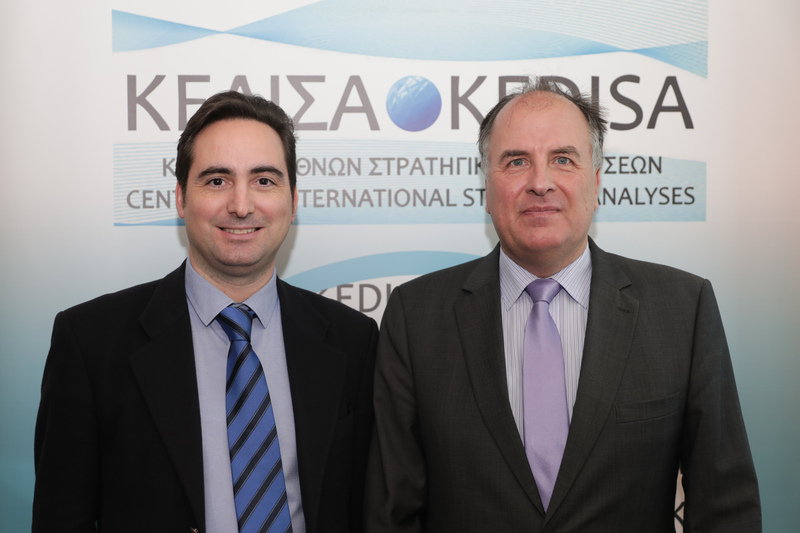 He referred to the example of Greece’s accession to the then EEC in 1981, when the overwhelming majority of Greek public opinion was opposed to accession, and the then Greek Prime Minister Konstantinos Karamanlis went against the “stream” and signed the accession of Greece to the EEC because he believed this dictated the long-term national interest. 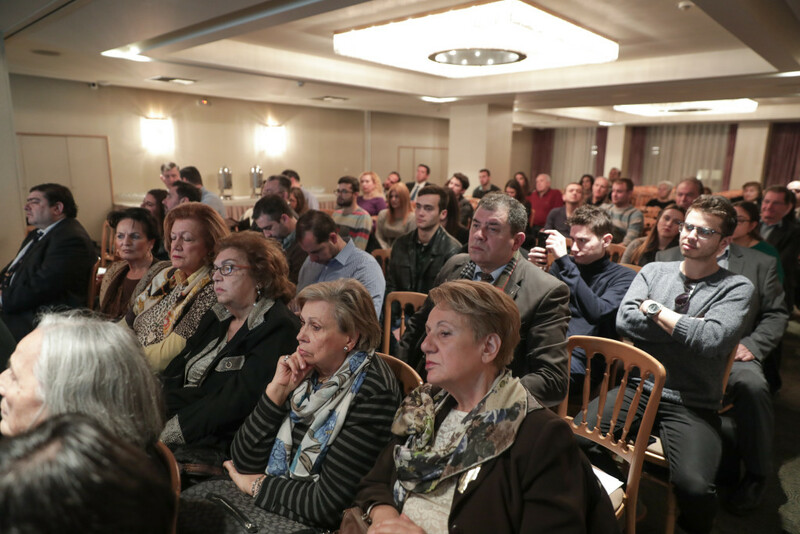 This is what Mr. Alexis Tsipras and his government did by signing and ratifying the Prespes Agreement because they believe that it serves long-term national interests. Finally, he said that in order for the Prespes Agreement to be successful must consolidate in the conscience of both peoples as an agreement that enhances security, stability and prosperity in the Balkan region. 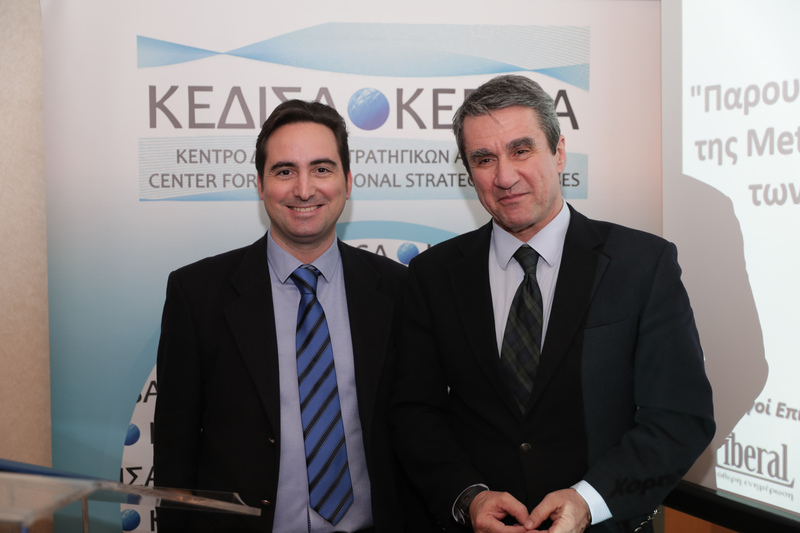 Mr. George Koumoutsakos, MP of the Second Constituency of Athens and Head of the Section of Foreign Affairs of the ND party, in his speech, said that there is no comparison between the accession of Greece to the EEC in the late 70’s and the signing and ratification of the Prespes Agreement in 2018- 2019 because the Prespes Agreement concerns a matter of national identity that can not change the belief of the Greek people while the accession to the EEC was an economic and institutional issue to which Greek citizens were opposed initially but thereafter supported the EEC membership and later of the EU because they realised that they benefited from a financial, institutional perspective. This is something that is unlikely to happen with the Prespes Agreement because it is unlikely to win the hearts and minds of Greek citizens. Referring to the day after the ratification of the Prespes Agreement by the Greek Parliament, he voiced his concern about whether “The Republic of North Macedonia” would be an ally of Greece or Turkey within NATO while voicing concerns about Skopje EU accession process whether Greece will have full veto rights when opening and closing EU accession chapters or whether it will be the only EU member state with limited rights due to the provisions in the Prespes agreement of Prespes on the non-obstruction of the accession of “North Macedonia” to international organizations. Mr. Andreas Loverdos, MP of the Second Constituency of Athens for KINAL party said in his speech that there is no doubt that the overwhelming majority of Greek public opinion both before and after the ratification of the Prespes Agreement by the Greek Parliament is against this Agreement and that is something that a politician can easily understand in conversations with citizens. Polls such as the one presented by Mr. Sratos Fanaras of Metron Analysis simply confirm with numbers this conviction of the Greek people. He also referred to the big problem of recognizing “Macedonian” ethnicity and language as a recognition of the Macedonian nationality and language, and that now no one cannot complain officially when anyone referres to the people of “North Macedonia” as “Macedonians” because Greek government and the Greek Parliament agreed to this by signing and ratifying the Prespes Agreement. Closing his speech he said that the term citizenship would be a better compromise for the Greek side than the word “nationality” in the English version of the Prespes Agreement. Mr Dimitris Iatrides, an IR expert and a lawyer as well as an ND official, said in his speech that the Prespes Agreement does not serve national interests and pointed out that Greece did not get anything in return for the retreats that it made with major retreat the recognition of “Macedonian” nationality and language. He also said that as a result of the ratification of the Prespes Agreement, minority issues might arise from a so-called “Macedonian” minority in northern Greece, and noted that he is very worried that the ratification of the Prespes Agreement may be the beginning of negative developments for the rest national issues. 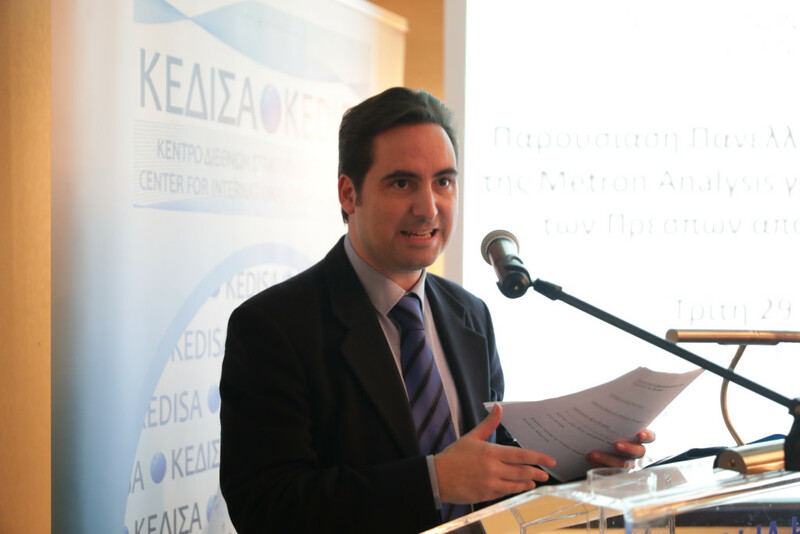 Mr. Spyros Karanikolas, KINAL’s Deputy Spokesperson in his speech, said that the Greek Prime Minister, Mr. Alexis Tsipras, negotiated without serving a national line that would arise after a meeting of the Political Leaders Council under the President of the Republic as requested by the President of KINAL, Mrs. Fofi Gennimata. He also said that, under the responsibility of the government of Mr. Alexis Tsipras, a national issue was set up to divide his political opponents and the Greek people. With regard to the Prespes Agreement, he described it as the epitome of irredentism as it assigns “Macedonian” ethnicity and language to Skopje.